The ultimate goal of many freelance writers is seeing their name listed as the author of a bestselling book. Unfortunately, finding topics to write a book about isn't always an easy task. There's no single way to guarantee you've picked a great topic for your book, so you'll have to consider a number of different factors before starting your manuscript. At one point, the only people who published memoirs were celebrities who had led extraordinarily interesting lives. Today, however, there are memoirs covering topics ranging from parenting a special needs child to overcoming alcoholism. Some writers even manage to make a career out of selling memoirs. For example, Susan Shapiro's published memoirs include Only as Good as Your Word, Lighting Up, Secrets of a Fix-Up Fanatic, and Five Men Who Broke My Heart. If you have a unique story to tell, you don't need to be famous to get a memoir published. However, you do have to be willing to share your experiences honestly and openly - even if they are painful. In addition, a memoirist must also keep in mind that friends and family may not be supportive of seeing themselves portrayed in an unflattering fashion. Tips on Writing a Memoir has suggestions to help you get started on this project. How-to, self help, and advice books are often overlooked as a potential income source, but these projects can be very lucrative for a freelance writer. 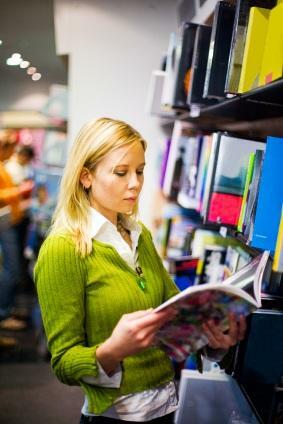 Even though it's true that Internet provides a wealth of information at your fingertips, people are always interested in buying books about topics such as crafts, cooking, home repair, parenting, or dieting. If you're interested in writing a nonfiction book, you can write about a topic that you have experience with through your formal education or previous employment. Alternatively, you could interview experts for your book or work with a single expert to share writing credit for the book. Writer's Digest has a section of its website with resources of interest to nonfiction book writers. If you're interested in fiction writing, the best approach is to write the type of book that you would like to read yourself. If you never read westerns, for example, it's unlikely that you'd be able to create a compelling story that a publisher would want to buy. Of course, there is sometimes overlap between genres. For example, a book may feature characters who fall in love while they are working together to solve a mystery. Common Themes in Writing has some tips for fiction writers that you might find helpful as you're brainstorming book topic ideas. Many novice freelance writers make the mistake of thinking that they can jump on a current trend and come up with a bestselling book. While it's true that the publishing industry does have "hot" topics, it's important to keep in mind that it takes quite awhile for a book to be edited and published. By the time you see it on the shelf at your local bookstore, the publishing house has likely already moved on to trying to identify the next big idea. For this reason, it's best to stick to your own ideas instead of hoping to attach yourself to some great literary fad.